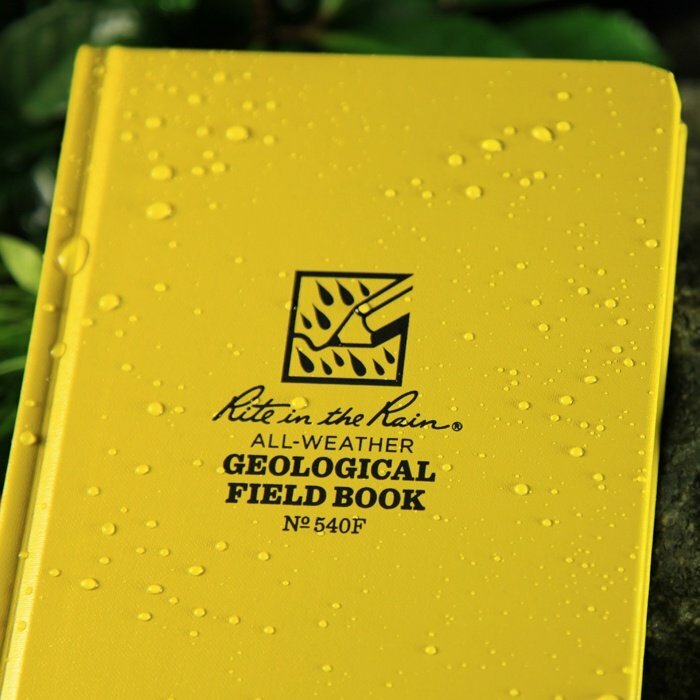 We have refined the Rite in the Rain range down to our most popular sellers for the Geological and Exploration market. Although we do have access to the entire range, our core customer base will more than likely want what hundreds of other Geo's and Fieldies have proven to stick to - we've kept it simple for you. The 2 smaller 'top pocket size' books are the Top Spiral Bound RR-135 (76x127mm) and RR-146 (105x152mm). These are 50 sheet (100 page) books with a flexible cover. 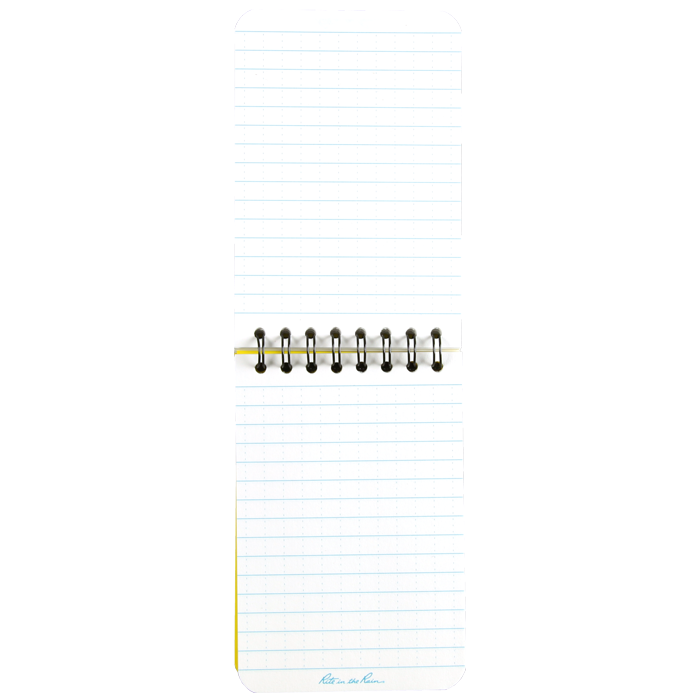 Both books come with the same 'Universal' style page pattern, which consists of solid horizontal lines and dotted vertical lines - refer to picture. Then we stock 3 larger 120x190mm size books. These are Hard Cover, with a durable Sewn-in Binding and a different page pattern for each stock code. 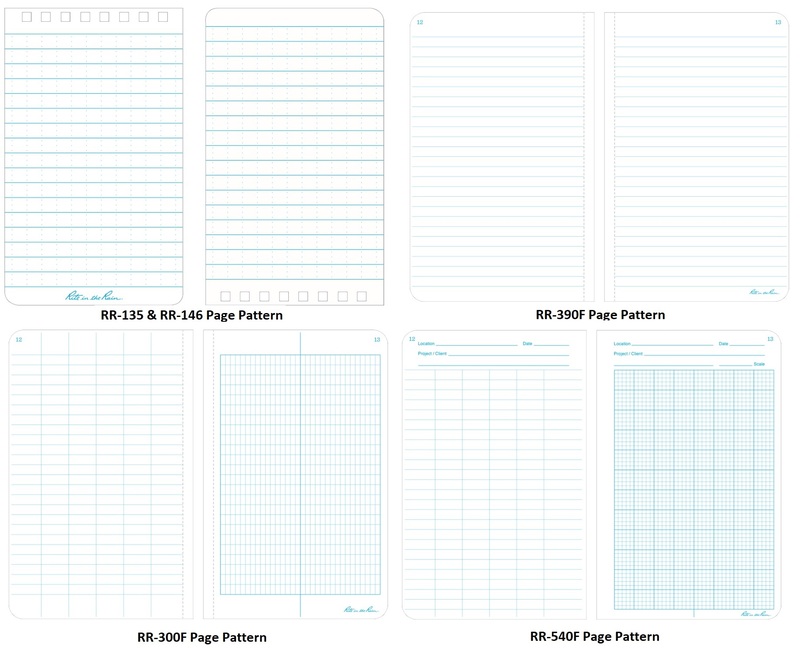 They all come with 80 sheets (160 pages). 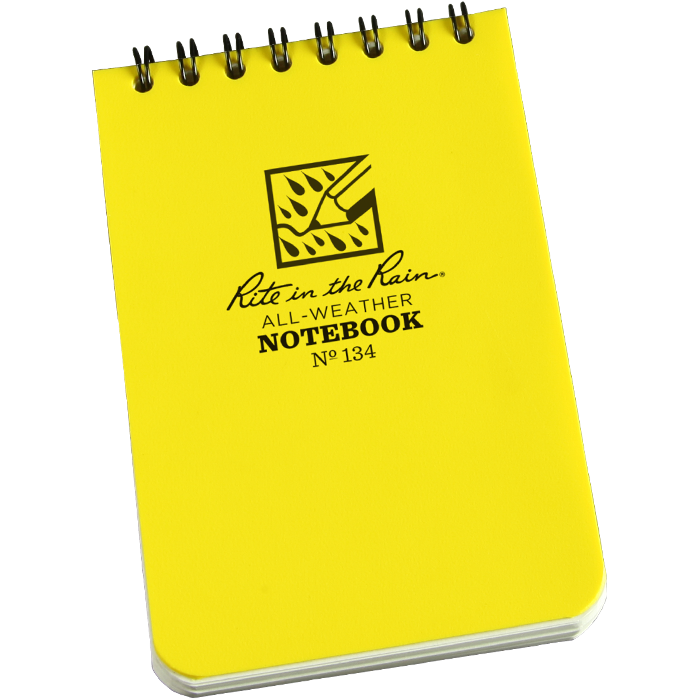 Everything from the cover, the paper, the sewn-in pages, even the glue is designed to survive the elements of the mine site or your exploration roamings! RR-540F - 'Geology Pattern' - Page 1: Solid horizontal & vertical lines. 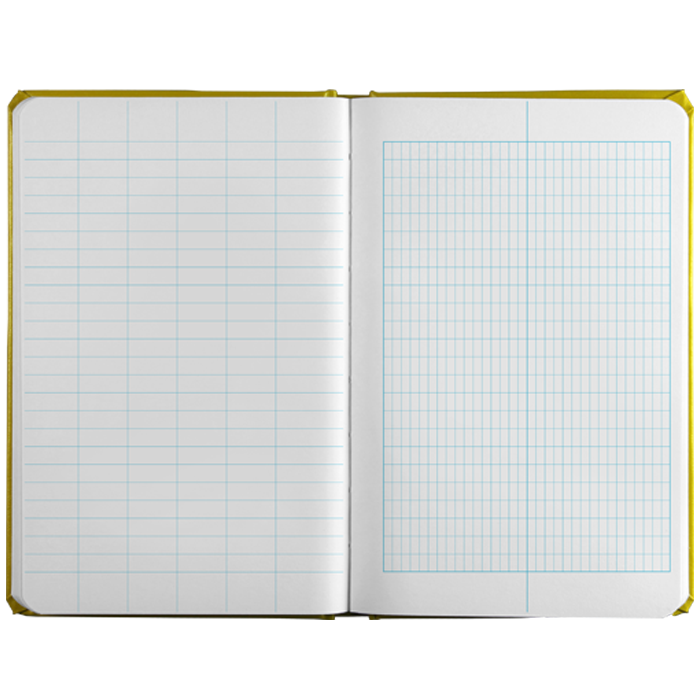 Page 2: Grid Pattern with information fields at the top of the page.